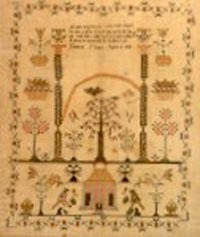 Samplers have existed in some form for almost as long as cloth has been decorated with embroidery, but it was not until the 16th century that embroidering samples of fancy needlework became fashionable as a leisurely activity. The more than forty framed samplers in this collection represent the eras when embroidery was considered both an art form and one of the most important skills that a young girl could master in preparation for her marriage. 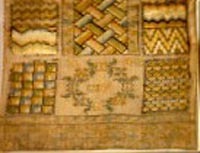 Comparisons among the examples in this exhibit demonstrate the different ways the sampler has been used in the past. 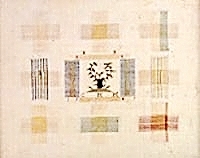 As early as the 18th century, needlework was combined with religious instruction and scholarly disciplines in the creation of samplers. As more attention was paid to the education of young girls, they were taught to embroider biblical and classical passages. 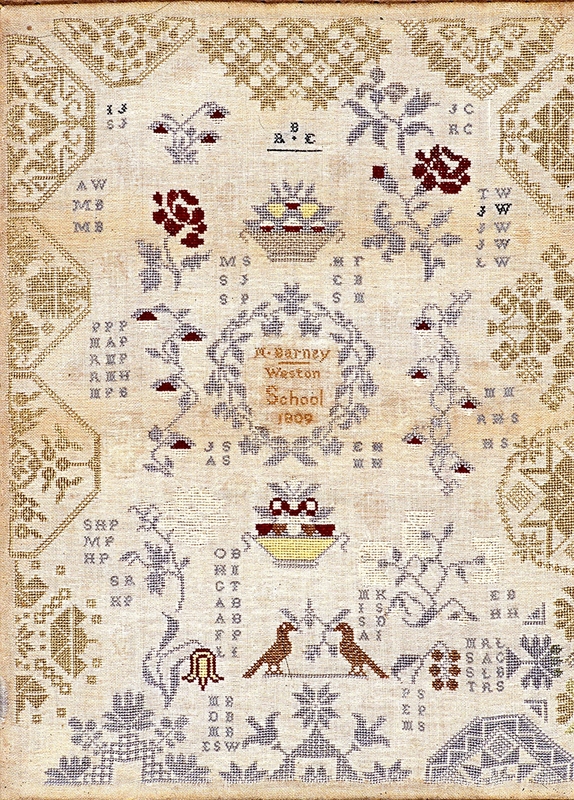 In the 19th century, the sampler also served as a medium for sewing lessons for future domestic servants. 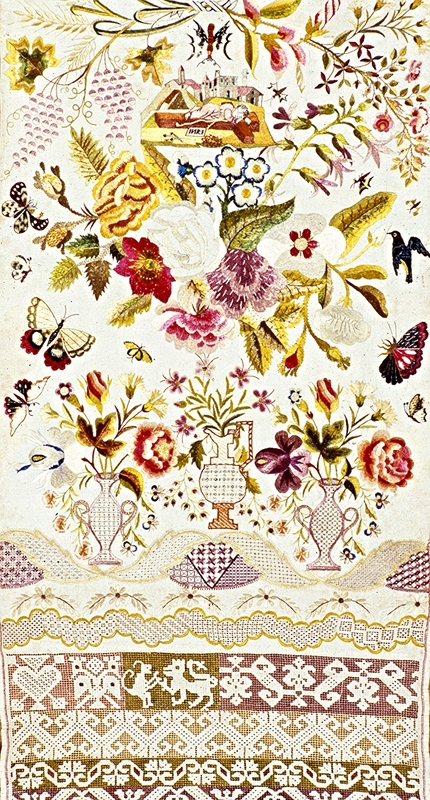 This collection includes samplers of varied designs and sizes. Some are small enough to hide in a prayer book while others are as large as 40 inches square. One is seven inches wide and almost eight feet long. The single trait they share is a remarkable deft use of needle and thread by children who were sometimes barely of school age.